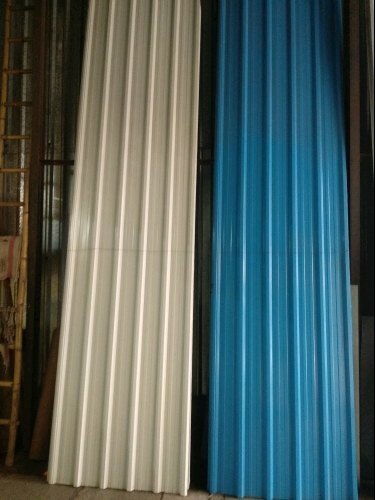 Prominent & Leading Wholesaler from Pune, we offer Roofing Sheets, Stainless Steel Roofing Sheets, Precoated Roofing Sheets, PVC Roofing Sheet, Galvanized Sheet and Corrugated Sheet. We offer Stainless Steel Sheets, which are procured from the trusted vendors of the industry. Our corrugated sheets are water chemical and vermin proof and thus deliver long lasting performance. Distinct range of Duplex Steel Sheets & Plates that we offer is available in various specifications. We offer our clients a wide-range of Stainless Steel Sheets that is sourced from reliable vendors of the market. We bring forth an expansive array of iron sheets, which is manufactured at vendor s end.